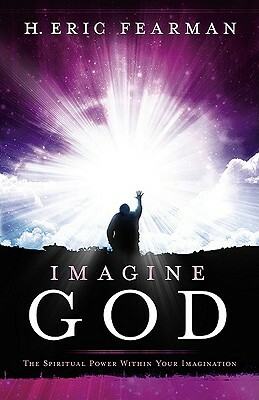 Imagine God is one of those books that you will not want to put down. Like fresh manna from heaven, the book is masterfully and beautifully written, full of wise counsel, filled with life changing applications and is simply a blessing to read. Author H. Eric Fearman, dispels darkness and ushers in God’s glorious light by revealing eternal biblical truths about mankind’s God given imagination from a biblical and practical perspective. The author brings to the forefront that all knowledge begins with God, His living Word and God’s plans and purposes in our lives. This book will enable every reader to take hold of powerful kingdom truths. Carefully constructed through diligent meditation and instruction from God’s Holy word, “Imagine God” will not only encourage you on a deeper walk with God, but also stir your heart to dig deeper into God’s precious word. This book is a faith builder that will help to guide you into greater depths of God’s plans and purposes for your life. “Imagine God” shares pearls that open doors to kingdom principles and truths that will enable you to live a prosperous and abundant life through the simplicity of the understanding of who you are in Christ and the gifts that God has blessed you with. If applied, the teachings in this book will not only change your inner life, but also cause an inner awakening to be birthed with in you. As someone who reads books authored by many within the body of Christ, “Imagine God” opened my heart to some fresh and exciting realities. If you desire a closer walk with God, then read this book and allow yourself to embrace the powerful spiritual truths set forth. This book will enrich your life, expand your faith and provide you with fruit bearing seed from God’s Word. God created us in His image and God created our imagination. This book through sound biblical insight built upon the scriptures that God, the creator of all things, created our imagination and works through our imagination is an excellent read. “Imagine God” describes the process of the mind of man whereby the renewal of the mind through God’s word will cause you to see yourself as God sees you and enable you to accomplish His will, His plans and His purposes for your life through accessing the imagination that God gave you. This is a must read for every believer, those seeking a deeper relationship with God and is a blessing to the body of Christ.